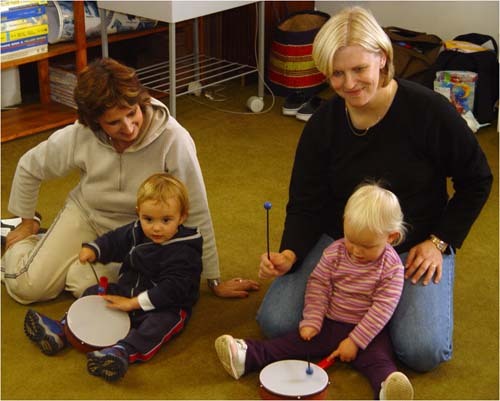 What distinguishes Toddlers Workshop from other mother and child groups? 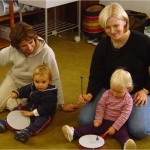 Toddlers Workshop began in 1982 in Green Point as the experiment of Otto and Celia Kossar who wanted to provide their own children with superior educational experiences. As two educational experts they were determined to find the most meaningful way of enhancing the interaction between mother and child. The success of their programme was based on the educational value and content thereof, and not primarily on successful marketing techniques. Whereas mother and child groups usually focus exclusively on the actual programme, Toddlers Workshop seeks to improve the quality of family life and parental know-how through a lending library, counselling expertise of workshop leaders and presentations to parents in the evenings. Toddlers Workshop upholds values for childhood education which stand in contrast to the exaltation of “beauty, brains and money” of our consumer society. Parents are exposed to an alternative set of values, i.e. happiness depends more on inner attitudes than on the things which money can buy. Toddlers Workshop is a national organization which draws from a rich heritage. A system which began in 1982 has emerged through many trial and error experiences. Workshop leaders benefit not only from these accomplishments, but also from regular current sharing of ideas. Toddlers Workshop leaders undergo a standard of training which far exceeds any existing tertiary educational qualification for this age group.